An ECG is usually carried out at the clinic, and takes just a few minutes. In some cases, the simple ECG does not provide the complete picture that we need in order to understand your symptoms. In this case, a 24-hour ECG may be recommended. Like an ordinary ECG, the 24-hour ECG (sometimes also referred to as ambulatory ECG) monitors your heart function and rhythm, except it takes results continuously for a 24 hour period. You will be given a small, battery-powered device (called a Holter monitor) which you wear in a small pouch around your neck. The monitor is connected to your body with several electrodes placed on the skin of your chest and arms using a gel that helps them to stick. These electrodes are not painful to wear. The only restriction is that you cannot swim, bathe, or shower whilst wearing them, and must ensure that the monitor is dry at all times. But in every other way, you are encouraged to engage in your daily activities as normal. You will then return to the clinic to have the device removed and the cardiologist will evaluate your results. The reason for using this kind of diagnostic test is that abnormal heart patterns, arrhythmias and other cardiac symptoms may come and go. There is not always a consistent or ongoing pattern, and thus a longer-term monitoring period is necessary. 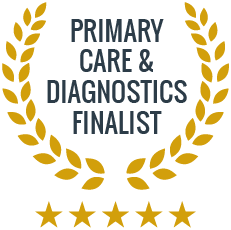 Our specialists can evaluate your case and decide on the diagnostic tests that are most appropriate for your symptoms and overall needs. Please give us a call to make an appointment to discuss this or any other aspect of heart health. What is the difference between a regular ECG and a 24-hour ECG? The regular ECG test takes just a few minutes and is carried out in the clinic, whereas the 24-hour ECG takes continuous readings whilst you go about your regular daily activities. No, the 24-hour ECG is a non-invasive form of testing. There are some restrictions for the duration of the testing, such as having to avoid water (swimming, bathing, and showering) and ensure that the monitor stays dry. Why cant I just have a regular ECG? 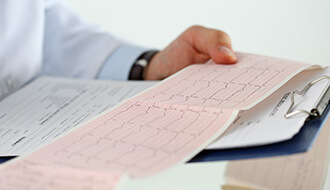 Some heart conditions have symptoms that are not consistent and therefore cannot always be tested during a clinic visit. Longer-term monitoring gives your doctor a picture of your heart throughout the day, allowing a clear understanding of the range and frequency of your symptoms.